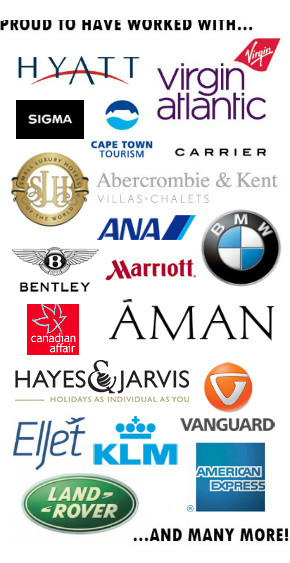 In my 12 years working in skiing, I’ve been asked many times which are the best ski resorts for a corporate ski trip. Of course, it depends on the age range of your group, ski ability, budget and how much time you can spare. However, I’ve organised hundreds of corporate ski trips over the years and in my experience you can’t go wrong if you choose any of these five great ski resorts. 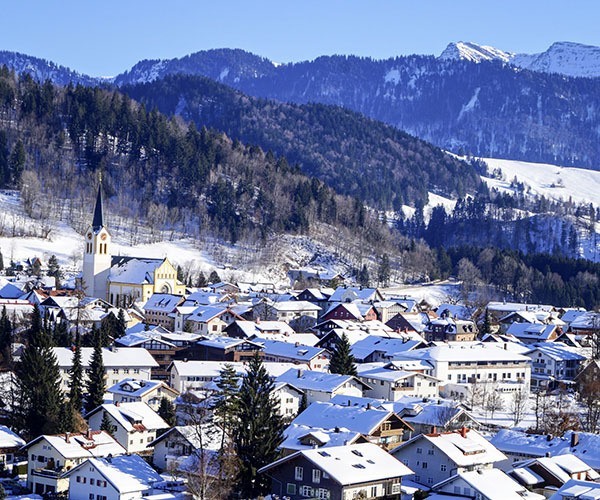 This famous Austrian resort has always been the most popular choice for corporate ski trips organised by Kaluma Travel: it simply ticks so many boxes. New lifts opened for the 2016/17 ski season mean that the Arlberg ski region now offers the largest ski area in Austria, with 305km of linked runs for all ability levels from beginners to powder-hunting experts. Add to that a world-famous reputation for apres-ski and it’s easy to see why St Anton is such a popular choice. The Krazy Kangaruh and the Mooserwirt are packed out every afternoon and you are positively encouraged to dance on the tables in your ski boots. Some say the real challenge of an afternoon at one of these two on-slope bars is getting down the final few hundred metres of piste to resort! There’s a wide choice of luxury chalets and hotels, including the award-winning Chalet Eden Rock, which can accommodate large group sizes of up to twenty. 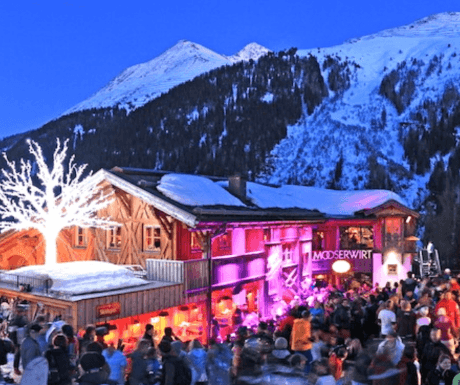 And crucially for those on a tight schedule, St Anton is just one hour transfer from Innsbruck – with private helicopter transfers available if you want to cut that down further. Verbier in Switzerland is another resort that offers a short transfer time, taking as little as 45 minutes to get to resort if you fly into Sion, or 1h45m if you fly into Geneva. The ski area is high and offers reliable snow. There are over 400km of slopes accessible within the Quatre Vallees ski region (that also includes Nendaz, Versonnaz and Thyon), stretching up to 3330m at the top of Mont Fort. As you’d expect from a resort that attracts celebrities such as the Beckhams, Prince Andrew, Jamie Oliver and Jemima Khan, the quality of accommodation and restaurants are top class. If you’re looking for some corporate inspiration for your trip, then one property we get many requests for is Richard Branson’s ‘The Lodge’ (pictured below). It’s part of the Virgin Limited Edition collection and is visited regularly by Branson himself. The French ski resort of Courchevel 1850 has always been popular as a corporate ski trip destination. This is certainly the resort to choose of your group are looking for fine dining perfection. Courchevel has 7 Michelin star restaurants to choose from, in addition to 100 other dining options covering all tastes and budgets. The resort also has a superb choice of top quality hotels with a choice of 13 different five-star hotels for corporate ski trips in Courchevel. And what of the skiing? If you only skied in Courchevel, there would be plenty of variety to keep you entertained during any length stay, but the resort also happens to be part of Les 3 Vallées – the largest ski area in the world. Even the most advanced skiers will never run out of pistes to ski on a trip here. 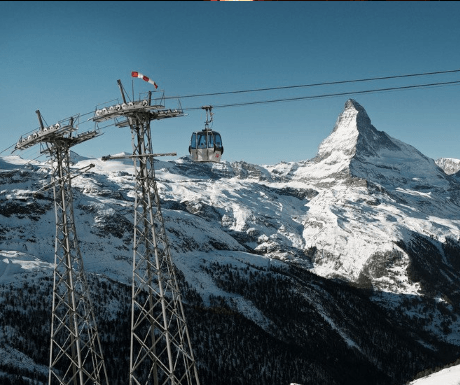 The home of the Matterhorn is the ultimate ski resort. This car-free village is accessed by train from the valley, before an electric taxi delivers you to one of the many luxurious chalets or hotels. Zermatt featured in the stylish ‘The Night Manager’ and the Swiss resort makes a great location for any corporate break. Traditional chalets nestle on both sides of the valley offering views of the iconic mountain on the resort’s doorstep. The après ski is excellent, but of a more refined nature than St Anton, and the ski area itself guarantees snow – you can ski all year round on the Matterhorn Paradise glacier which goes up to 3883m at Klein Matterhorn. You might not have even heard of Baqueira Beret, but this Spanish gem is the choice of Catalans when they escape Barcelona in search of snow. Probably the best resort in the Pyrenees and long patronised by the Spanish royal family, there’s plenty to enjoy here on a corporate ski trip. 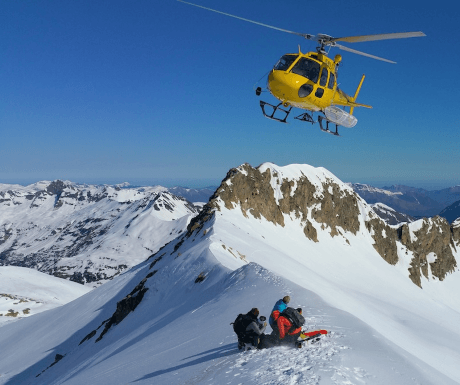 The off-piste and backcountry options are almost limitless and one of the key attractions for groups is the heli-skiing on offer. The prices are extremely competitive and the terrain is wide-ranging and varied, taking in peaks, chutes, gullies as well as more sedate drops back down to resort. Wherever you choose to take your corporate ski trip, as long as you make your arrangements with a specialist company, then any of these five great ski resorts should see you have a successful and entertaining trip. Thanks for a really informative post Richard. I had never heard of the Catalan resort Baqueira Beret but I am now intrigued to check it out for a company blast! No problem John. Please do get in contact if we can help. Our number is 01730 260 263. I am in Courchevel just now, but you can ask for Kelly and she can help with advice about Baqueira.